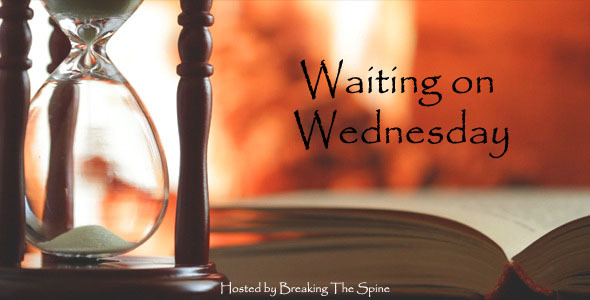 Waiting on Wednesday is a meme hosted by Breaking the Spine to let readers share their excitement for books coming out soon, and the novel I’m eagerly awaiting is this book of two novellas by one of my favorite fantasy writers: Stephen R. Donaldson. 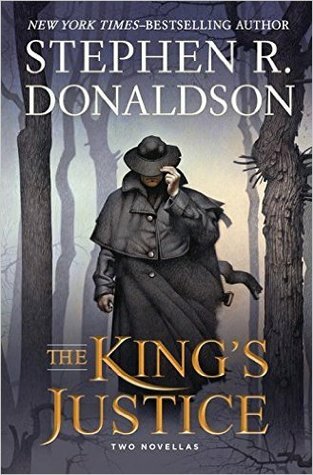 “Two new, original novellas—Donaldson’s first publication since finishing the Thomas Covenant series—are a sure cause for celebration among his many fans. In The King’s Justice, a stranger dressed in black arrives in the village of Settle’s Crossways, following the scent of a terrible crime. He even calls himself “Black,” though almost certainly that is not his name. The people of the village discover that they have a surprising urge to cooperate with this stranger, though the desire of inhabitants of quiet villages to cooperate with strangers is not common in their land, or most lands. But this gift will not save him as he discovers the nature of the evil concealed in Settle’s Crossways. Stephen R. Donaldson is the author of the The Chronicles of Thomas Covenant, a landmark in modern fantasy. Every volume, beginning with Lord Foul’s Bane in 1977, has been an international bestseller. Donaldson returned to the series with The Runes of the Earth in 2004, and completed it with The Last Dark in 2013. He lives in New Mexico. 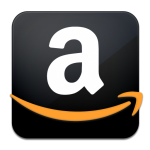 This entry was posted in Waiting on Wednesday and tagged STEPHEN R. DONALDSON, The King's Justice, thomas covenant, Waiting on Wednesday. Bookmark the permalink. Oh! This one showed up at my house last week. I thought they might have been novellas linked to his Thomas Covenant series, which I haven’t read. Glad to hear they’re original stories so I can check them out. I landed an ARC of that last month. I’ll likely settle in for a read over the weekend.